POEM OF THE WEEK HAS BEEN DISCONTINUED. NO SUBMISSIONS FOR THE CONTEST WILL BE CONSIDERED. UPDATES TO FOLLOW. 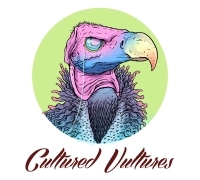 Each week, Cultured Vultures will be holding a free poetry competition which is open to all comers. The three best poems will be published every Monday. There’s no entrance fee, which means that there will be no prize for the winner – at least for the time being. If successful, your poem will be seen by an attentive audience of thousands. Second and third place finishers will also be published. There aren’t many better places to have your poetic voice heard. – Three poems of your choice. – A small bio about yourself. – Not published elsewhere on the web apart from social media or your personal blog(please contact to discuss if unsure). – You can submit as often as you like. – Submit by midnight every Saturday to have your work judged for that week’s contest. Any submissions after this will be carried forward to the next competition. That’s it. Please do not submit any images with your work. We will not hold copyright of any of your work, it will remain your own. We may release a free eBook with some of our winners involved in the future, let us know if you would be interested in this. If you would like to take part or want any more information, please contact [email protected] with the above requirements. If you don’t hear back from us regarding your entry, chances are that it didn’t place in the top three but you are always welcome to submit again. Our contest is free and that’s never going to change. However, you can choose to support Cultured Vultures fight the good fight in another way. Please take a look at our Patreon page – even if you aren’t interested in pledging, consider sharing it around. Even $1 a month goes a long way towards helping to keep HMS CV afloat!